Long before the days of Facebook and Twitter, this was the site I became fond of. I met some really amazing people, with whom I am still to this day, friends with. In fact; I met my best friend Karren on that site. 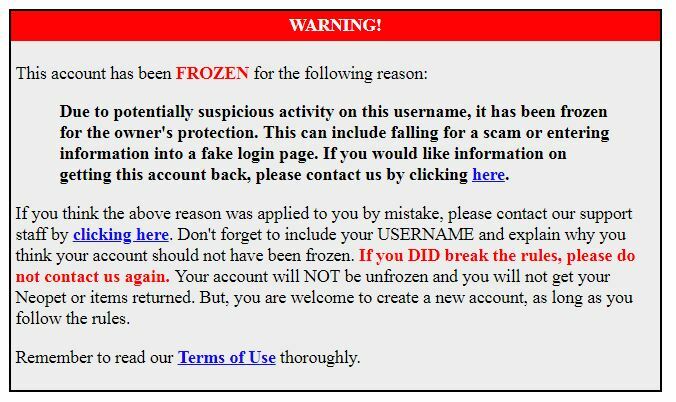 Except you see Neopets froze my account due to "suspicious activity". Apparently for my protection. 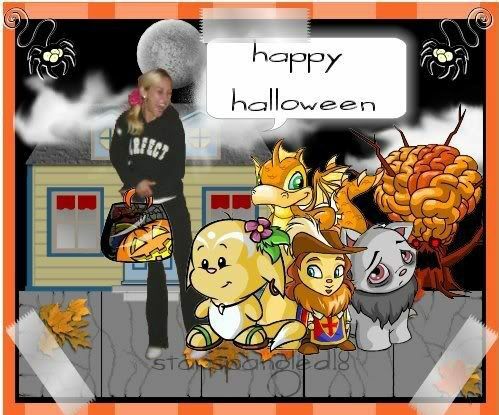 Getting a hold of someone at Neopets, proves to be anything but easy. While you can see right there on the "WARNING" it says "Contact us by clicking here". Well, when you click "there" it takes you back to the login page. So you see, they want you to log in, to be able to contact them…But you can't log in with a frozen account. Okay, so now you either need to create a new account, or use a side account (if you had one). For me, I contacted them through my Guild account. I first contacted them on April 13th, 2018. By April 25th I had still not received a reply. I wrote again, stating this was now my second attempt at getting a hold of someone. In that email I provided a large amount of information in regards to my starspangled18 account. I provided information such as 2 (current) email addresses that I associate with Neopets, the amount of Np's in the bank, what items are in my SDB and also the PIN number. Today, April 30th – I have been in correspondence with "Alice W". So as you can see, Alice (somewhat) answered why I was frozen, but not really. Alright, so in order for my account to be relased, she needs me to provide the email address I used to create the account… 16.5 years ago. NOT the email address that I have associated with it today, even though it has been changed for years. So okay, I throw out some email addresses that maybe?…in hopes?…would have been the one I used to actually create the account. Again, nope. I guess now it's a waiting game. Either I have some divine intervention with memories from 16 years ago or what?… Good bye to a lot of hard work and a really fun Neopets account that I loved. Sure, I know – It's silly, it's just a game. But I guess it's one of those little memories you'd thought you could hang on to. What I do know, is that I am most certainly not alone. If you take a look at the Neopets Fan Page on Facebook, check out the comment section on any pic or article they have posted. 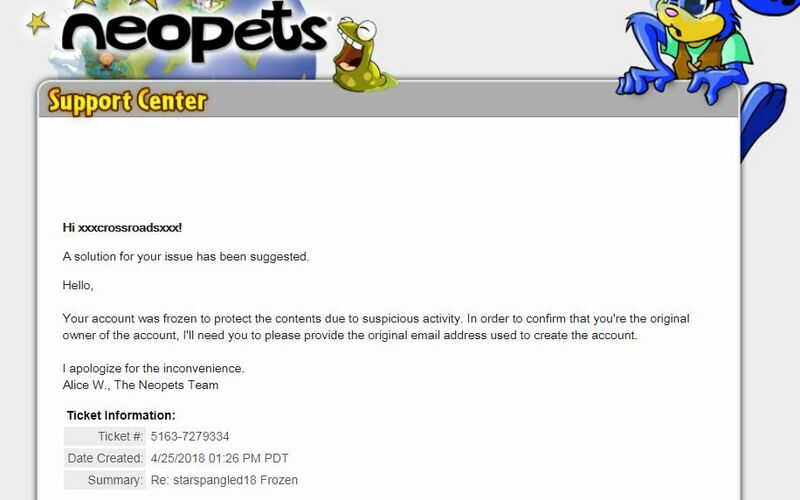 They are overloaded with people asking why they were frozen and pretty much having the same issues I am and with Neopets not being helpful. Now, I can't speak for everyone in saying that they were able to provide the amount of information I have, in regards to trying to get their account back. But I can clearly see there are a lot of upset Neopians out there.